Bryan and Holly gathered to have an in-depth discussion about the villains of Star Wars, both real and alleged. They spoke a lot about Orson Krennic's fashion sense, the redemption of Ben Solo, and the allure of Anakin Skywalker's story. 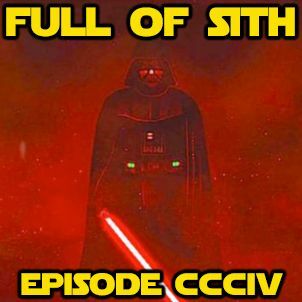 If you haven’t already, join our new Facebook group and join in the discussions with us and other listeners at – http://facebook.com/groups/FullofSith If you like the show, please leave us iTunes/Stitcher reviews and share us with your friends and ... Más informaciones family! We’d greatly appreciate it.